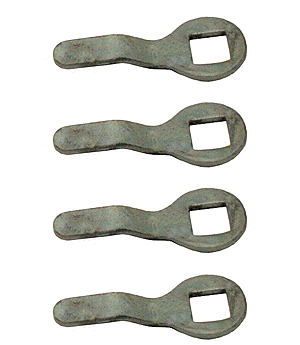 Model T side curtain hook set. One side attaches where the crew holds the windshield frame to the stanchion and the other attaches where the windshield hinge is screwed to the windshield frame. These hold the side curtains in place at the windshield.